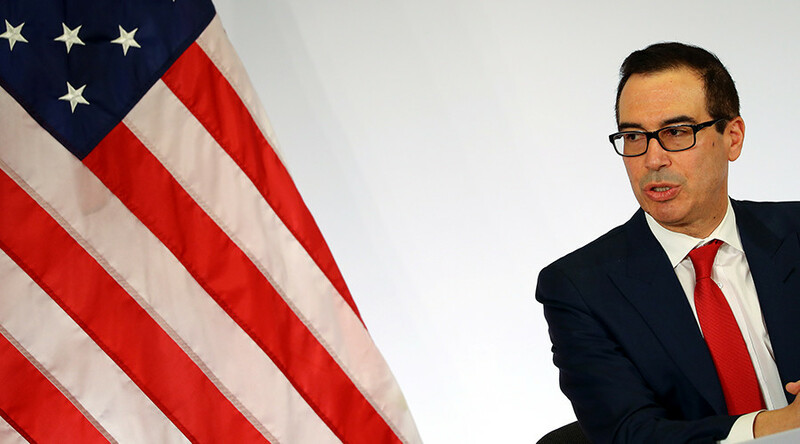 A comment by Treasury Secretary Steven Mnuchin about a film he produced has Washington media and ethics advocates in a tizzy and arguing that the Trump administration has major conflict of interest issues it is refusing to address. Mnuchin, a former Hollywood producer, attended a Friday morning “News Shapers” event hosted by Axios – a news project established by former Politico executives – in Washington, DC. Towards the end of the hour-long talk, veteran political correspondent Mike Allen asked Mnuchin a series of questions about movies. “What is a movie we should see?” Allen asked. “I’m not allowed to promote anything that I’m involved in. So I just want to have the legal disclosure, you’ve asked me the question, and I am not promoting any product. But you should send all your kids to ‘Lego Batman’,” said Mnuchin, to laughter from the audience. One vocal critic was Norman Eisen, chairman and founder of Citizens for Responsibility and Ethics in Washington (CREW), and a former White House ethics lawyer under President Barack Obama. CREW and a group of prominent Democrats sued Trump in January, alleging that his lease on a hotel in downtown Washington, DC violates the Emoluments Clause of the Constitution. On Thursday, the General Services Administration (GSA) sent a letter to the Trump Organization, led by the president’s son, informing him that the company was in “full compliance” with the lease for the hotel. Earlier this month, Politico reported that the Trump administration passed on an ethics training program the White House has contracted since 2000. "It looks like a good program, and I wish they had implemented it," Eisen told Politico. "It might have spared them the numerous ethics and other messes they have encountered." “That shipping company is going to be a big problem with respect to him being involved with trade under the conflict of interest statute,” CPI quotes Richard Painter, a board member of CREW, as saying. During his confirmation hearing, Ross told the Senate he would “rely on the monitoring and judgment of the Department’s ethics officials to ensure that I do not participate in any matter about which they advise me that a conflict of interest would arise,” including recusing himself from any matter involving a vessel associated with Diamond S Shipping.